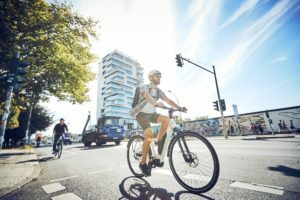 STOCKHOLM, Sweden – There are few markets in the world where good or bad weather has more influence on bike sales than Sweden. Conditions in spring and summer more or less determine the sale in bikes and bike accessories. 2009 proved perfect in this respect. However, one other determining sales factor came into play this year; Sweden’s weak national currency that lost over 20 to 30% of its value against the US dollar, euro and Japanese Yen. With that bike prices surged. This combined with the financial crisis that also hit hard in Sweden, tough conditions were set for 2009 bike sales. Units sold: 2008: 500,000-530,000 (a small increase from last year, but still estimated sales figures). Trends: Road bikes are back, commuting bikes, electric bikes on the verge of getting bigger and Cyclo Cross and Singlespeed. The majority of bikes sold are still commuting bikes with fenders. 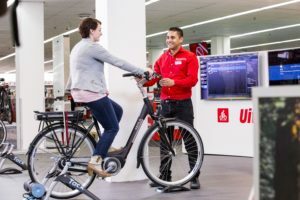 Distribution: an estimated 40 % of the bikes are sold via bike shops – the internet is cutting sharply into the market as many of the bikes and importers claim the net as their biggest competitor. Another factor is the difference in VAT and other taxes among the countries within and outside the EU. 2008 was a good year for the Swedish bike market, as it continued to march on. For the first time in history it passed the half million mark. At least that is what industry insiders claim as they estimate total bike sales for that year to have ended at over 500,000 units. This is confirmed by the 2008 data for the Swedish sporting goods market. The Swedish trade journal Sportfack estimated that it grew in 2008 by 4.5% to 11.9 billion Swedish kronor (€1.096 bn) at retail level, down from the 7.6% increase recorded in 2007. 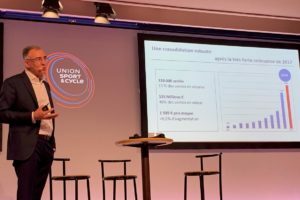 That bike sales in 2008 passed the half million mark is confirmed by the customs statistics collected by the European data bureau Eurostat. Their import data for 2008 show that Sweden imported a total of close to 535,000 bicycles that year; up 55,000 units compared to 2007, an import growth of 11.7%. When taking a closer look at these figures, bicycle imports from countries outside the European Union surged. A staggering 23.8% jump to be exact. 81,000 units more than 2007 were imported by Swedish distributors in 2008. Such distributors are for the big part chain stores and supermarkets with the bike market in Sweden in a tight grip. In 2008 the country imported close to 420,000 complete bicycles from Asian countries compared to 340,000 a year earlier. Bike import from other European countries suffered in 2008. Competition from Asian manufacturers pushed the EU import down 17.7% to close to 115,000 units. Bike imports from other European countries make up only about 20% of the total import figure. This leads to the conclusion that the Swedish bike market is the playground for brands that have their bikes made in Asia like Scott, Trek, Nishiki, Giant, Merida, etc. 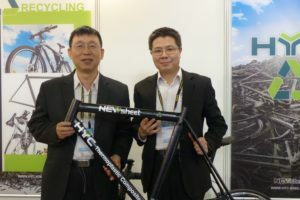 Speaking of Merida – this brand is making a new start in 2010 with a new importer is backed by Merida HQ in Taichung, Taiwan. Stian Sports, the company also in charge of the Merida distribution in Norway, is taking up the same in Sweden. For more on this see the box article on this page. Eurostat’s 2009 import statistics for complete bicycles are unfortunately not yet available. But what’s already clear now is the fact that the 2008 records will not be broken. In particular the import of complete bikes from outside Europe is expected to drop big time. Of course this is due to the fact that buying such bikes in Taiwan or other Asian countries not hampered with anti-dumping duties like Thailand or Indonesia became much more expensive in 2009. On average with over 20%! This observation is confirmed by statistics from the Taiwan Bicycle Exporters’ Association (TBEA). According to the TBEA, in the first five months of 2009, Taiwan exported a total of 2 million bicycles. Although this is a 17.5% decline from the 2.42 million units exported during the same period last year, export value reached US$ 570 million, or 3.8% more than that of 2008. This is due to a 25.7% hike in unit price! How hard the big price increases for bikes as well as for bike products affected 2009 sales, is not yet clear. However, first reports from the big retail chains in sporting goods (including bikes) operating in Sweden suggest implications were limited. The latest statistics indicate Swedish sporting goods retail chains saw their sales increase by 10% in March 2009 and 9.1% in April, resulting in total growth of 7.7% for the first four months of 2009. The biggest sporting goods retail chain in Sweden is Stadium, which controls about 30% of the market. Other big players are Intersport Sverige with about 145 stores, Sportringen, and Sportex. It is estimated about 60% of all bike sold in Sweden are distributed through the big sporting goods retail chains. Like most European countries, Sweden has a proud bicycle making history. Swedish ‘cyklar’ are classic city bikes with fenders, chain guards and lighting systems. Most are fitted with internal 3/4/7 or 8 speed hub gears. The hottest brand in the high end of the market is Skeppshult. However, the biggest gun in the Swedish market is Cycleurope. This global operating bike manufacturer has its HQ in Varberg, Sweden where its owner Grimaldi Industri is also based (in Stockholm). Cycleurope also operates a bike assembly facility in Sweden, where its Crescent and Monark bikes are made. Its production is estimated at about 100,000 units making up the biggest part of the roughly 120,000 bikes made in Sweden annually. As there’s no industry or dealer association in Sweden more and in particular reliable data on Swedish bike sales is not available. GÖTEBORG, Sweden – On November 2 Merida Sverige AB started its operations as the new supplier of Merida and UMF bikes in Sweden. Merida Sweden (MD is Stian Steen-Olsen) is a wholly owned subsidiary of the Norwegian company Stians Sport AS. This company was founded in 1976 and is a joint venture with Merida Industry Co. Ltd. from Taiwan. Headquartered in Oslo, Stians Sport AS annual sales are about US $24 million. Merida Sverige AB takes over the distribution of Merida bikes from former importer Grahns. 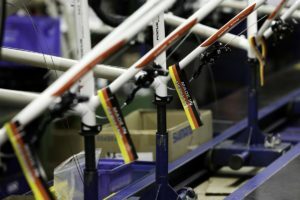 Stians Sport AS has had great success with the sale of Merida bikes in Norway where its annual sales currently stands at about 50,000 bicycles. Here Merida is one of the strongest brands in the bike market. Next to Merida bikes Stians Sport also sells Merida Fitness equipment and an extensive P&A range which includes brands like Abus, Topeak, SRAM, Avid, Truvativ, Rock Shox, Northwave, Xpedo, Polisport, CST, Alex, Jagwire and Infini. Merida Sverige AB will next to Merida bikes and fitness equipment also distribute a P&A range with products from Northwave, Merida bicycle equipment, SRAM, Avid, Truvativ, Rock Shox, Motorex and Birzman.